Is someone tracking your car? We have 5 tips to help you make sure your car doesn’t have a hidden GPS tracker. Do you suspect someone may have placed a hidden GPS tracker either inside or outside of your vehicle to keep tabs on you? If so, it might be difficult for you to feel safe. It might even make you want to spend less time driving around in your vehicle. To put your mind at ease, you should make every effort to find the GPS tracker on your vehicle and get rid of it. 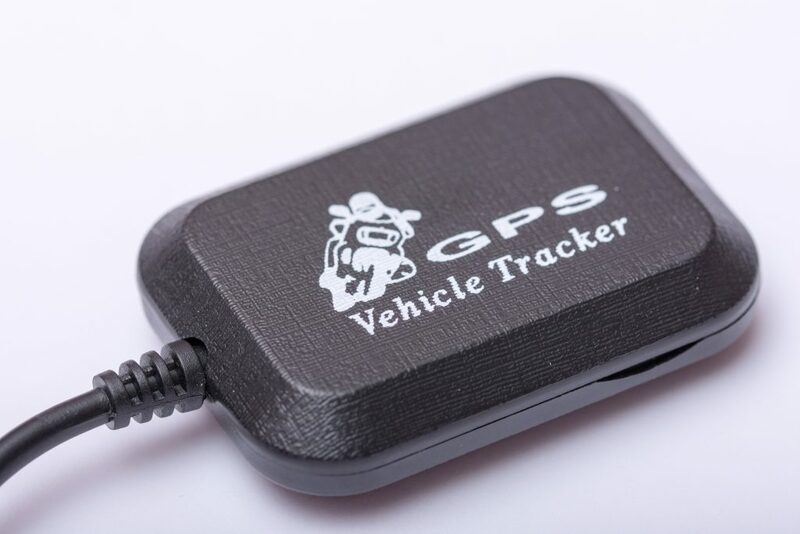 It can be tough to track down a GPS tracker that has been placed on a car, truck, or SUV. There are so many places on the interior and exterior of a vehicle to hide it. But it’s definitely not impossible for a person to do it. Let’s take a look at 5 tips that will help you locate a hidden GPS tracker on your vehicle. The first thing you should do when you suspect someone may have placed a hidden GPS tracker on your vehicle is think about who would do such a thing. A rival business owner trying to monitor where you’re at throughout the day? A distrusting spouse who seems to think you’re having an affair? A secret government agency out to get you? OK, so that third one might be a stretch. But the point here is that, if you can figure out who might be trying to track you, you might be able to get a better sense of where they would put a GPS tracker. Your spouse might not have the technological know-how to find the ideal spot to hide a GPS tracker so that it won’t be detected. But a government agent (or anyone with a half-decent working knowledge of GPS trackers) might be able to make it almost impossible for you to find the hidden device. By figuring out who is tracking you, you can get inside of their mind and get a better idea of where they would stick a GPS device on your vehicle. Once you’ve spent some time thinking about who might be tracking you with a GPS tracker, you should start actually looking for it. You can begin by inspecting the exterior of your vehicle. You should use a flashlight and mirror to check all of the nooks and crannies on the outside of your vehicle. Keep in mind that most hidden GPS trackers on the outside of a vehicle are put in places where a person can reach. So you might not have to look too hard to find it. That being said, there’s a good chance the GPS tracker will be dirty from being on the outside of your vehicle. You might have to look hard to find it, even if it’s in plain sight. If you give the outside of your vehicle a good inspection and don’t see the hidden GPS tracker, it’ll be time to move to the inside of it. You should start by taking a look at the data port in your vehicle, assuming your vehicle has one. That’s one of the most common places to hide a GPS tracker. From there, you should look in any area where someone could put a small GPS tracker. From inside your glove compartment to underneath your seats, you should leave no stone unturned. You should even pop the trunk and take a look back there. You would be surprised by some of the spots where people hide GPS trackers. If you’ve checked the inside and outside of your vehicle for a hidden GPS tracker and come up empty, there’s a chance you might not have a tracker in your vehicle after all. But before you give up, you should make one last effort on your own to see if you can detect the presence of a GPS tracker. There are bug detectors that are specifically designed to pick up on hidden GPS trackers. By conducting bug sweeping, you can uncover a GPS tracker and prove that it’s somewhere in your vehicle. You can purchase bug sweepers from the same places where you purchase GPS trackers. They will help you find a GPS tracker if you actually have one in or on your vehicle. If you’ve used the first four tips listed here and failed to turn up a hidden GPS tracker, you probably don’t have anything to worry about. But if you still suspect that there is a GPS tracker somewhere on your vehicle, you can always turn to a professional for help as part of a last-ditch effort. Professionals know all of the places people usually hide GPS trackers. They also have experience tracking down trackers that have been placed on different types of vehicles. You should speak with a professional about why you think someone might be tracking you. You can also speak with them about where you’ve looked for a GPS tracker and where you might suspect one is located. The professional will then go about trying to find the GPS tracker once and for all. If the professional comes up empty, you’re probably in the clear and should stop panicking over the possibility of a GPS tracker being on your vehicle. But you should keep your trusty bug sweeper around, just in case you ever suspect that one is on your vehicle again. Are you worried that there might be a hidden GPS tracker on your vehicle? Rather than living your life in fear, you should do what you can to see if you can find the GPS tracker on your vehicle. You should then bring in professional help to take a second look if you don’t come across anything. Read our blog for more information on vehicle GPS bug sweeps and other surveillance techniques.